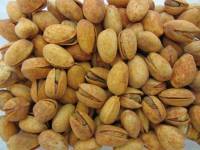 California Pistachio Kernels, Raw 4 oz. Description: Raw California pistachio kernels already out of the shell. We've done all of the work for you so that you can just enjoy the clean, nutty taste. 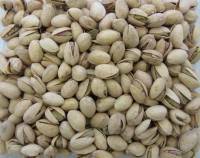 Description: Our pistachios come from California's central valley, and are roasted right in their shell with chili and lime seasoning for zesty south-of-the-border flavor. 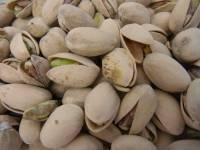 Description: Our pistachios come from California's central valley, and are roasted right in their shell without salt. 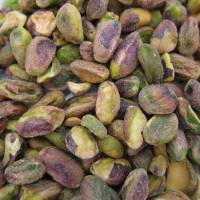 Description: Our pistachios come from California's central valley. Roasted and lightly salted in their shells. California Pistachios, Roasted / Salted, In Shell 3lb. 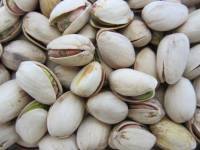 Description: Our pistachios come from California's central valley, and are roasted right in their shell with salt and pepper for a slightly spicy/salty snack.